This solid, succulent, citrus twist on the Skunk line is a fine addition to anyone’s grow-room or garden. Sensi Skunk was the third strain launched in 1991 to celebrate the expansion of the Sensi Seed Bank gene library from world-class to world-beating status. 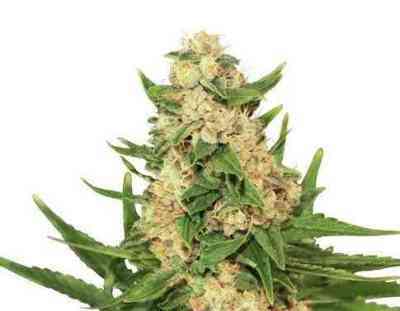 When selecting parents for this hybrid, Sensi breeders had three main objectives. First, a high-potency strain whose price and ease of cultivation put it within reach of anyone and everyone who might be interested in growing. While Skunk strains offered those qualities, some had been available for many years, so the next requirement was a new and distinct Skunk hybrid - one which could match Skunk #1’s excellent quality and performance while offering a clearly different experience to the smoker. Third - and perhaps most important — the new strain had to live up to the Sensi name, since it was to be part of her official title. 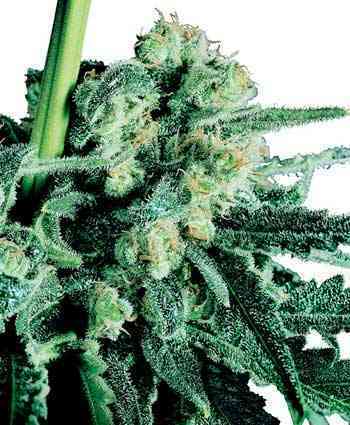 Sensi Skunk achieves those goals with ease and, in several respects, greatly exceeds them. The perennial favourite Skunk #1 was infused with a secret, super-sweet parent plant of outstanding potency to create Sensi Skunk - a uniform, reliable, deliciously sticky strain producing larger calyxes and shorter pistils than Skunk #1. European Skunks are often noted for being sweeter and less pungent than their North American counterparts and Sensi Skunk takes this variation to new extremes with an attention grabbing sugary-citrus Skunk bouquet that’s uniquely different from the regular Skunk funk. Quick to bloom, thick-budding and potent enough to surprise even a jaded pot-head, Sensi Skunk is also very forgiving when growing and flowering ? making her a strain that’s actually quite difficult to mess up. A solid performer under lights or in the greenhouse, Sensi Skunk can also flourish when grown outdoors below about 42°N. Diese Sorte hat mich überzeugt. Günstiger Preis und trotzdem top Quali. 5 von 5 gekeimt und ordentlich was auf die Waage gebracht.